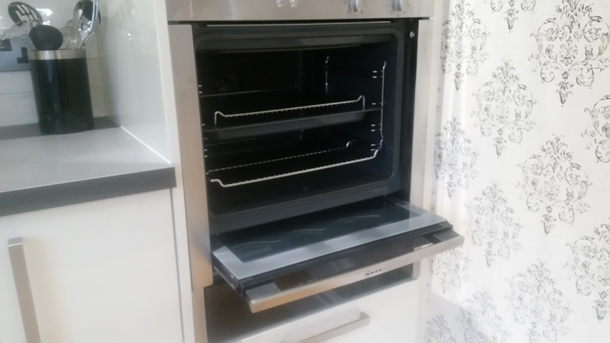 Neff Slide & Hide ovens are fantastic. Not only is the build quality great, but the design is genius and unique. 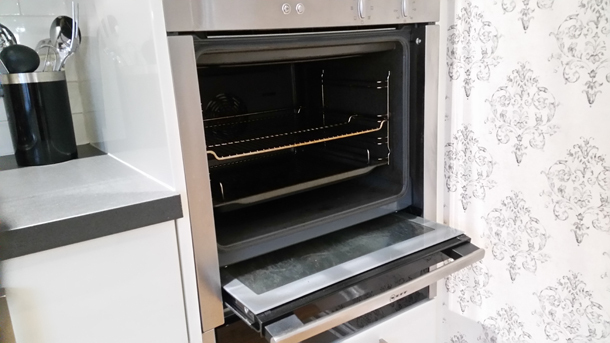 Neff’s Slide & Hide door is ideal if you are looking to save space in a tight kitchen, or just looking for a stylish oven that your friends, family, and visitors are impressed by; being it is the only oven on the market to feature a disappearing door. We love it! 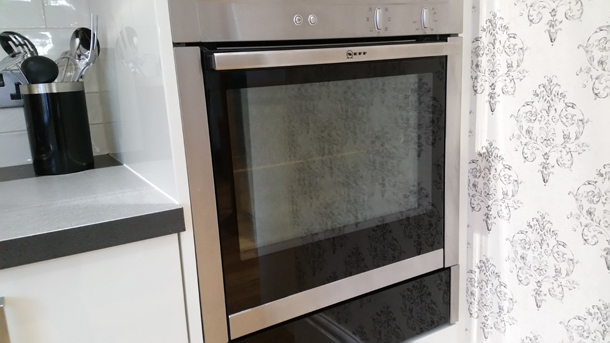 In fact, we would recommend Neff and Bosch over any other oven/cooker brand. Unfortunately, in time and like any oven they do get dirty and need cleaning. Cleaning the Neff Slide & Hide oven, particularly the door can be tricky (although it seems tricky for some oven cleaning companies it now seems). 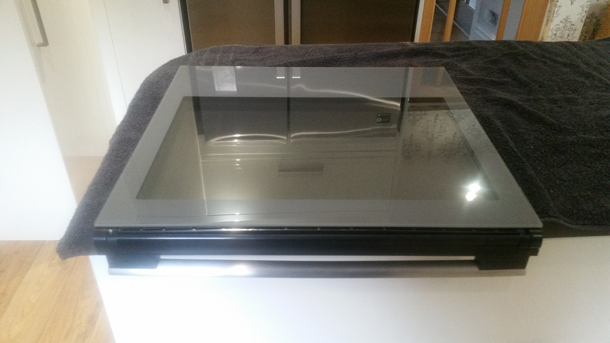 Over the course of the last few months here at Oven Cleaning Sheffield we have received at least a dozen calls from people struggling to find an oven cleaning company that can remove the Neff Slide & Hide door and clean in-between the door glass. 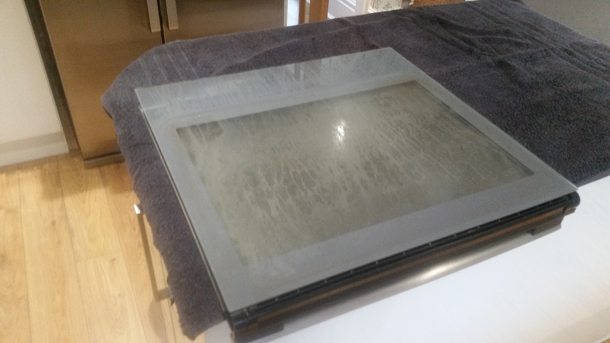 It seems a number of oven cleaning companies in Sheffield and surrounding areas are refusing to clean the Neff Slide & Hide as they are not confident in removing the Neff Slide & Hide door to clean between the panes of glass. 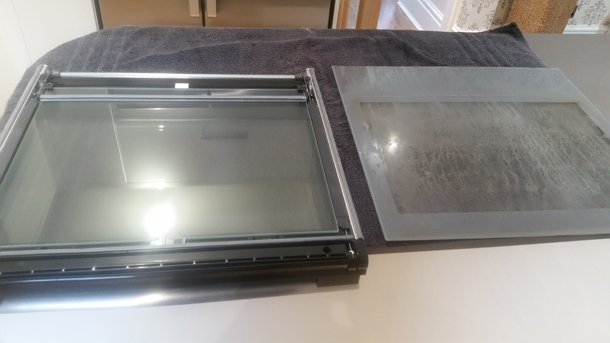 At Oven Cleaning Sheffield we have been deep cleaning the Neff Slide & Hide oven (including removing the door and cleaning in-between the door glass) since it came on the market. And what in our opinion is even more impressive about our service is that we do not charge a penny more for this seemingly difficult task (the door). 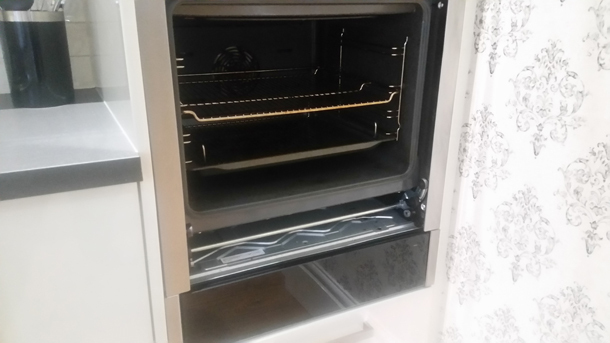 See our prices if you would like your Neff Slide & Hide oven fully deep cleaned, the price is exactly the same as a standard single oven clean!